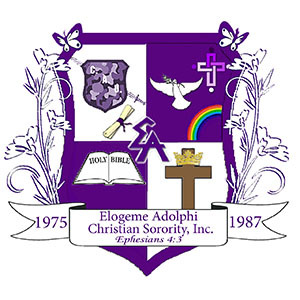 Contact Us | Elogeme Adolphi Christian Sorority, Inc.
Elogeme Adolphi Christian Sorority Inc.
Are you interested in attending our Annual Summit Banquet? We are pleased to welcome you to our Annual Summit Banquet. The banquet is the culmination of our 3-Day Summit where Elogeme members are being prepared to impact their college campuses and local communities. We hope you will join us for this empowering event. Complete and submit the registration form below, and then pay using the PayPal button below. Registration deadline: May 31, 2019.